I was 7 years old and remember watching World Figure Skating Championships on TV. I thought Dorothy Hamill was beautiful. Although I don't remember who won or who didn't, I knew I wanted to be just like her. 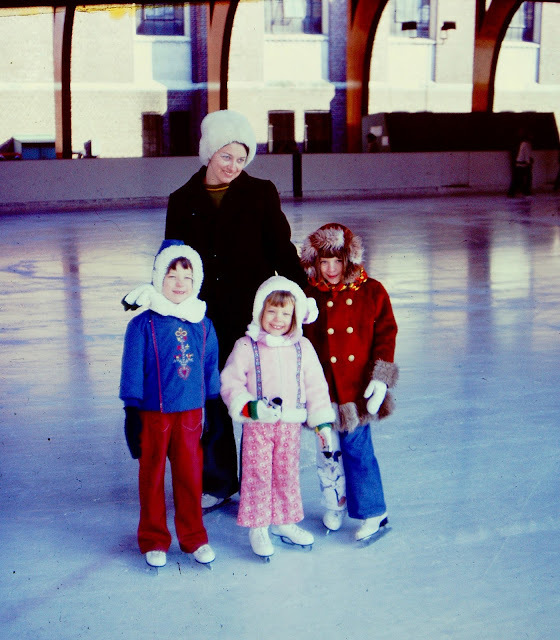 It was exciting when my sisters and I got ice skates for Christmas! My Dad took us to a local ice rink that he played hockey on. The rink was located at The Hill School. Each winter my mom would dress us up warmly, even put baggies over our socks. (Not sure why she thought this would keep us warm). At first I clung to the walls as I went around the rink. Eventually I let go and had a lot of fun! I loved the smell of the rink, the outdoor food trucks with french fries and the best hot coca ever. To this day I can still smell the aromas. 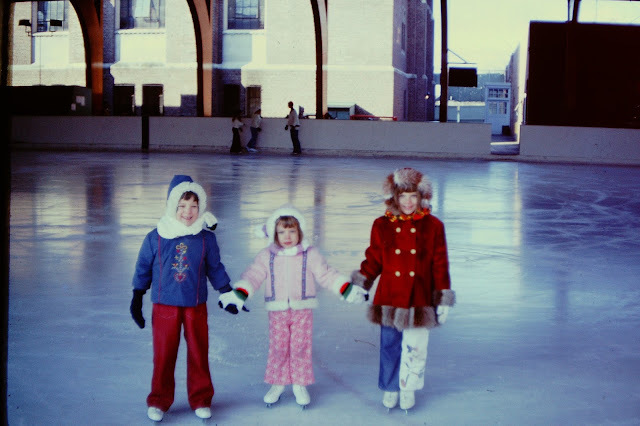 Skating is one of my favorite childhood memories that I share with my sisters. The rink was torn down around 10 years ago and replaced by a modern indoor rink. My son played hockey on the newer rink a few times. It really is a nice facility, but it's not the same as an outdoor rink. A little trivia... The Hill School is a private school where Donald Trump's children attended.